Learning for Action is excited to announce the release of a new capacity building study, conducted as part of a funder-led initiative to better coordinate capacity building funding efforts in the greater Chicago area. The study draws on national lessons and models to inform an analysis of what is and is not working in relation to nonprofit capacity building in Chicago’s social sector, and provides recommendations for how capacity building efforts could be strengthened and improved. While this research was specific to the Chicago area, we believe much of what we learned is applicable to nonprofits, funders, and capacity building providers throughout the country. What is capacity building in the nonprofit sector? Capacity building refers to any intentional and sustained effort to improve an organization’s functioning. When capacity building is successful, it strengthens nonprofits’ ability to fulfill their mission over time and to have a positive impact on lives and communities. LFA posits that there are seven distinct dimensions of nonprofit capacity—vision and impact, governance and leadership, program delivery, resource generation, internal operations and management, evaluation and learning, and strategic relationships. All nonprofit organizations rely on these seven capacities to various degrees, depending on their context, in order to function effectively. A focused intervention addresses a problem or pain point in one of the capacities, which does not require a holistic understanding of the organization’s performance across all seven capacities. A developmental intervention seeks to a) understand a potential problem in the context of the organization’s performance in relation to the full range of capacities, and tailor the intervention accordingly, b) strengthen the organization as a whole (across the seven capacities) in the context of its stage of development, or c) both. Developmental interventions typically involve a greater time and organizational commitment than focused interventions. While the reasons for adopting one or the other approach vary, focused intervention approaches are most frequently adopted due to limited bandwidth and resources for organizational improvement, both on the part of the nonprofit itself and the social sector as a whole. This dynamic can create a negative cycle, where performance challenges put nonprofits deeper into survival mode, which in turn renders them unable to engage in the very improvements needed to thrive. Maintenance of the human body can be used as a metaphor, where organizational capacities are analogous to the various bodily systems (e.g. circulation, nervous system) that need to function well – and in synchronicity – in order for the body to be healthy. An organization – like a person - can seek treatment only after a problem with a system is experienced, and then choose a treatment that will merely reduce the severity of the problem and/or the pain associated with it. Alternatively, a person can (in response to a problem, or absent one) seek medical counsel towards the development of a “wellness plan” that identifies what activities or behaviors will best address any existing health problems and prevent future ones. Whatever the reason for choosing, the choice of approach can have significant implications for the likelihood of the intervention to result in positive, lasting change. 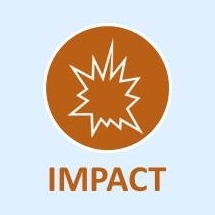 Despite the very real barriers nonprofits face to investing time in their own improvement, LFA encourages nonprofits, capacity builders, and funders alike to strive for a developmental approach to capacity building – even if it means a very long time horizon for addressing all of a nonprofit’s capacity needs. It will help the nonprofit take greater control over its own performance, largely because it requires a mindset of continuous improvement – which is the core ingredient of high performance. LFA conducted a field scan of trends and outcomes for capacity building in the nonprofit sector. Unfortunately, there has been little research examining the long-term impact of capacity building support on the nonprofit sector. However, we did learn of one study that suggests capacity building support is associated with positive financial growth for nonprofits. American University and North Carolina State University recently published results from a study to explore how nonprofits fared three years after receiving a capacity building grant. The study included 184 nonprofits who received capacity building support over a 12-year period. Each nonprofit’s financial trends were assessed for three years following their grant, and compared to the financial trends of similar nonprofits that did not receive capacity building grants. Organizations that received any type of capacity building grant grew their budgets by about 10% in the three years following their grant, indicating that capacity building support is positively associated with nonprofit financial growth. Interestingly, grants that specifically targeted financial capacity (such as hiring a grant writer or developing an in-depth fundraising plan) were not any more effective in supporting financial growth as compared to other types of capacity building support. This suggests that the specific type of capacity building support is less of a factor in achieving financial growth than the fact that a nonprofit received capacity building support at all. Based on our research with over 1,000 nonprofits, funders, and capacity building providers in the Chicago area, LFA developed four recommendations. These recommendations focus on ways nonprofits can collectively leverage capacity building resources to create a stronger ecosystem of nonprofits in the greater Chicago area. Many of these recommendations, and especially the first two, are likely relevant for all regions. Focus on Equity. Prioritize investments in under-resourced communities, and the organizations that serve them, as they are at a profound systemic disadvantage as they try to address the most severe social problems. Take a Developmental Approach. Prioritize investments that help an organization get and stay on a developmental path. Invest in a System Navigator Function. Make available human resources, complemented by technology, that can provide real-time, customized support to nonprofits as they seek to assess and address their capacity building needs. Support Nonprofit Connectivity. Promote capacity building efforts that build connection between and among nonprofit organizations, their leaders, and their social sector peers, both as a part of the process and as an outcome. In addition to recommendations describing how the overall system of capacity building supports in the Chicago area could be strengthened, LFA offers suggestions for how nonprofits, funders, and capacity building providers can individually respond to the challenges and best practices identified in the research findings. Here we list the takeaways for nonprofits; please refer to the full report for the takeaways for funders and capacity building providers. Focus on continuously assessing and understanding need across all dimensions of organizational capacity, so you know what the full range of your needs are at any point in time - as well as which are the most high priority needs. Build capacity building activities into your organizational budget, and advocate or negotiate for general operating expenses to be included in grants received for programs or services. Be a discriminating consumer when it comes to capacity building, and resist the urge to engage in it just because someone makes it available to you or urges you to do it. Even if what you need is hard to find, keep looking! Increase your understanding of nonprofit capacity so you only use supports that are relevant and appropriate, and so that you can manage them well towards the intended results. Ensure your nonprofit has both the capacity (especially time) and skills to effectively engage with a capacity building initiative. Adopt a holistic capacity building plan for your nonprofit, and situate discreet engagements within that plan. Ensure that interventions engage the full complement of organizational stakeholders to promote buy-in. Ensure resources are in place to implement capacity building plans. This study was conducted by LFA for Point the Way, a project of the Capacity Building Funders Group, a group of 14 foundations that invest in capacity building resources for nonprofits in the Chicago area. What do you think nonprofits, funders, and capacity building providers can do to strengthen the system of capacity building supports in your community?